Exploring our local heritage with all members of the community, to uncover and share what we learn about our past. Saturday 29th September – As part of Bristol’s Docks Heritage Weekend, Bristol Ferries will be playing the fascinating stories collected throughout the Heritage Lottery and Quartet funded Washing in the Well project. 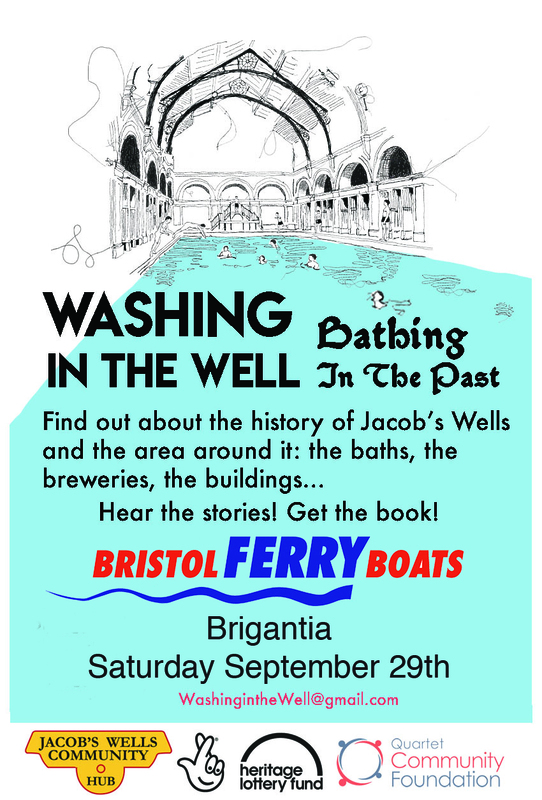 On Ferryboat Brigantia, throughout the weekend, you will be able to listen to recordings from Washing in the Well, exploring the fascinating history of Jacob’s Wells Baths, intimately connected with the docks as many people swam in them! The Victorian baths were built at a time when very few people were fortunate enough to have running water in their households, a time when locals didn’t appreciate the risks they were taking swimming in the dirty docks, a time when the whole family would have to take turns washing in a tin bath, in ever murkier water. Some of these experiences continued into the 20th century within living memory. Audio recordings can be heard through a set of headphones on the boat, and accompanied by a booklet about the project. 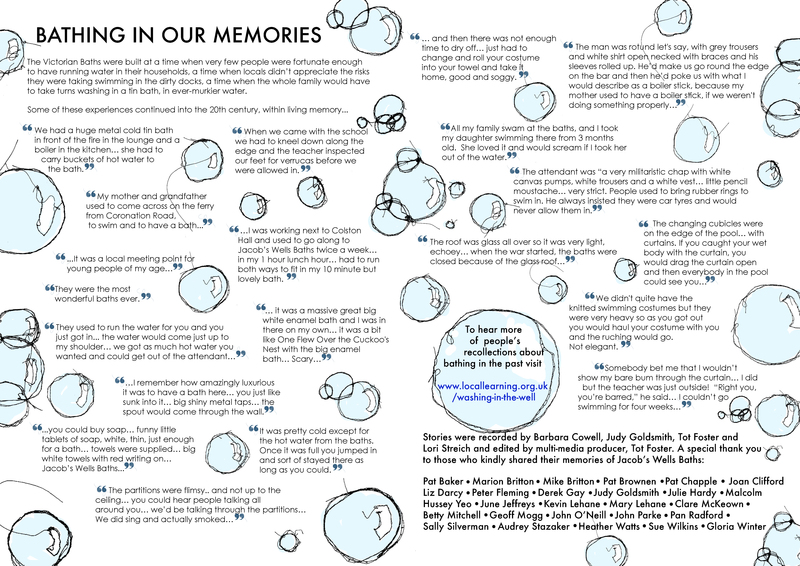 The stories collected throughout the Heritage Lottery and Quartet funded Washing in the Well community activities have now been added to our project page and the accompanying booklets will be available for free at the Harbour Festival event at the Baths, Saturday 21st July, 12-3pm. 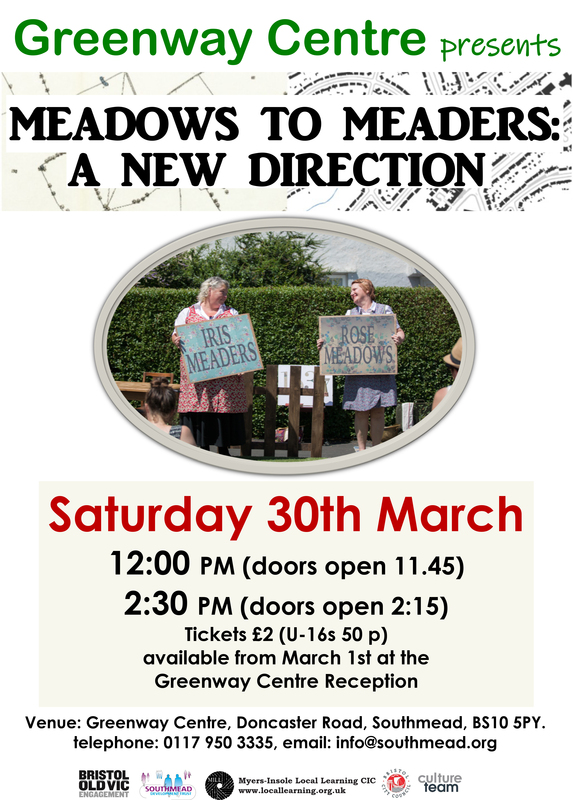 announce Bristol City Council funding for the next episode of our community soap opera, Meadows to Meaders. Visit our stall at Southmead Festival to find out how you can become involved in MEADOWS TO MEADERS: A NEW DIRECTION – a Local Learning, Bristol Old Vic, Southmead Development Trust collaboration. 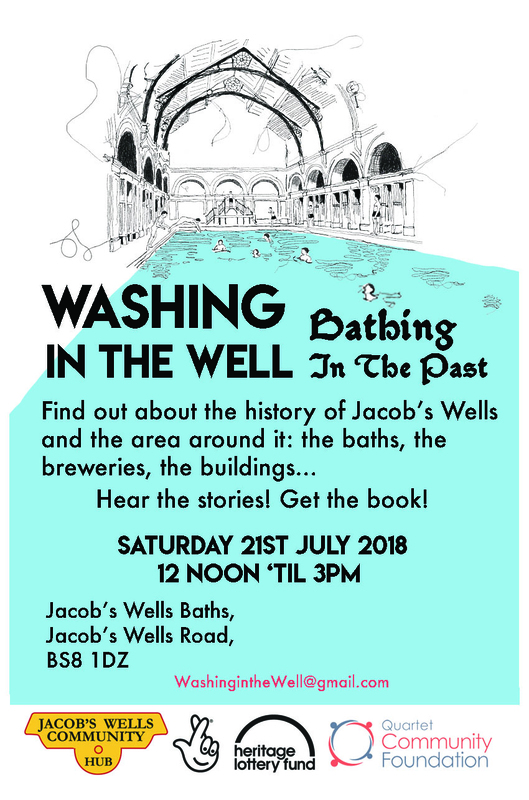 Local Learning has been working with Rowan Associates to co-deliver a community project, exploring the history of Jacobs’ Wells Baths and surrounding area. The community legacy booklet and oral histories will be launched at the Harbour Festival, 2018. 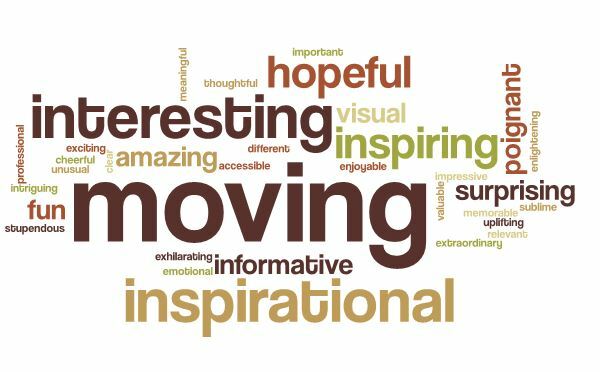 Find out what audience members and participants thought about the In Someone Else’s Shoes performance and exhibition in our project report here. The exhibition moves in May from Ashton Gatehouse to the UWE Business School at the Frenchay Campus before going to Stoke Lodge Adult Learning Centre in June. On Friday 4th May, 14 students from Fairfield School will fly out to Hannover for the return exchange trip.